Good morning from cold Hamburg and welcome. The AUD traded against the USD to a 14 month record high. The EUR made also a big price jump versus the USD and the JPY fell against all of its 16 major counterparts. We wish you like always much success today. The JPY dropped for a sixth day against the EUR to 133.69 as improving corporate earnings helped the Asian stocks to extend a global equity rally. The JPY fell against all of its 16 major counterparts as the JP Morgan Chase & Co`s earnings beat estimates and a report forecast to show that the U.S industrial production rose for a third month. The JPY traded versus the USD at 89.43. The AUD climbed to a 14 month record high against the USD and reached 0.9194 as the Reserve Bank of Australia Governor Glenn Stevens said that the central bank can`t be too timid in raising interest rates now. The USD dropped also against the EUR to the weakest level since 2008 and reached 1.4957. The USD Index decreased about 0.3% in the U.S. which is used by the Intercontinental Exchange Inc. to track the USD versus the currencies of six major U.S. trading partners including the EUR, JPY and the GBP. The Index reached 75.323, its lowest level since August 2008. On the other hand gained the Nikkei 225 Stock Average 1.7% and the MSCI Asia Pacific Index of regional shares climbed about 1.2%. 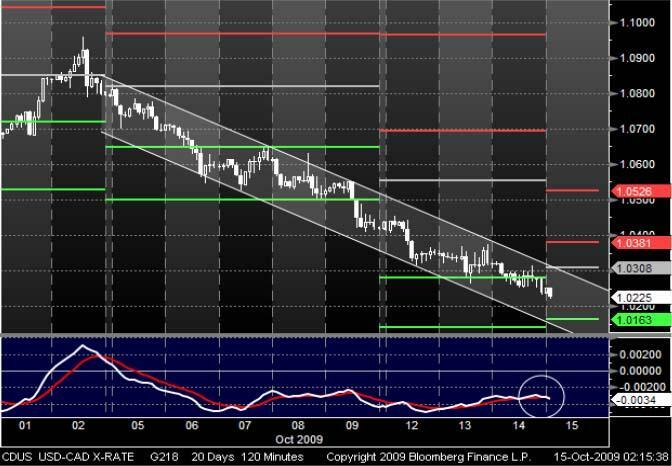 Since the beginning of October, the USD has been trading in a bearish trend channel against the CAD. During that time, the currency pair couldn`t leave the trend channel. Recently, the USD crossed its support. When it crossed its Pivot point in the trend channel, the supports aren’t strong enough for a pull back. The prices continued to fall. Also a crossing MACD may indicate a stable trend. Next support could be around 1.0163. Since the middle of September, the GBP has been starting a bearish trend versus the JPY. 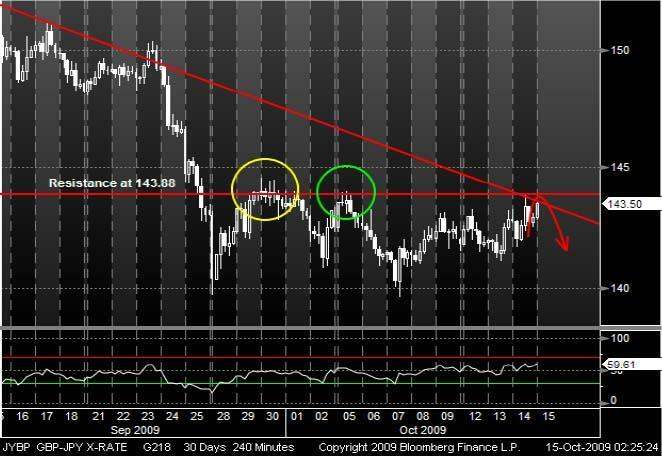 Now, the GBP reaches its resistance of around 143.88. When the currency pair touched it two times before, the prices rebounded. It remains to be seen if the resistance is strong enough for a pull back. The RSI indicator may support a weakening trend for the GBP.